To say that back pain is a common health problem is a bit of an understatement. Back pain is so pervasive, in fact, that it ranks as the single leading cause of disability around the world as well as one of the most frequent excuses for missed work in the United States. Back pain is also one of the top reasons adults of all ages visit the doctor’s office, second only to upper respiratory infections. At any given time, more than 30 million Americans live with persistent back pain, and experts estimate that 80% of all men and women — or four out of every five adults — will experience significant or debilitating back pain at some point in their lives. 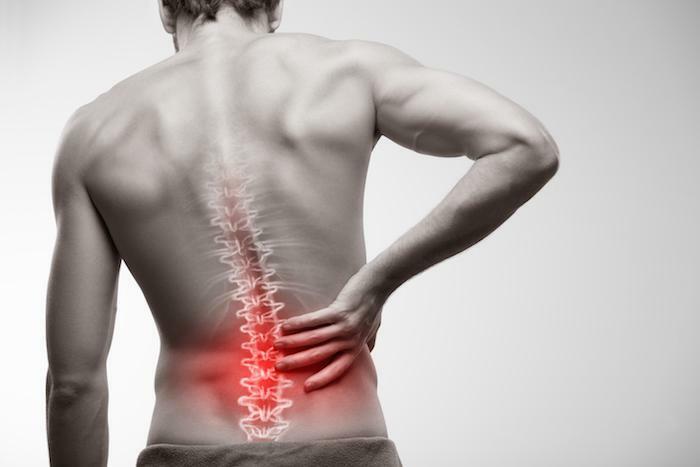 Although a wide range of underlying causes can lead to ongoing back pain, the problem can often be linked to a normal wear-and-tear condition known as degenerative disc disease. Learn how to spot the tell-tale signs and symptoms of this common disorder, and find out what kind of factors can increase your risk of developing it. In a young and healthy spine, the tough, rubbery discs situated between each vertebra help provide height and stability as well as facilitate a normal, pain-free range of motion whenever you flex, bend, and twist. To put it another way, your discs are magnificent shock absorbers designed to facilitate optimal spinal functionality, mobility, and flexibility under everyday forces like gravity, motion, or impact. But what causes spinal discs to degenerate in the first place? As you age, everyday wear-and-tear gradually weakens the collagen, or protein structure, that makes up the tough outer shell of each disc. At the same time, the aging process also decreases the water-attracting molecules within your discs, leaving them drier and more rigid. Although degenerative disc disease can affect any disc in your spine, the condition is more likely to develop in your lower back (lumbar spine) or your neck (cervical spine). For the most part, degenerative disc disease is an age-related condition that the vast majority of adults can expect to develop if they’re fortunate enough to lead a long life. In fact, magnetic resonance imaging (MRI) studies show that virtually all men and women past the age of 60 have some degree of spinal disc degeneration. Even though age-related wear-and-tear is a leading cause of spinal disc deterioration, you don’t have to be older to develop the problem. That’s because intense activity and injury can also impact your spinal discs, leading to the kind of instability that promotes early or more rapid degeneration: Sports and other high-impact activities can cause destabilizing tears in the outer core of a disc, for example, just as a less direct trauma can lead to chronic disc inflammation and fragility. The type of pain that people with degenerative disc disease describe most often is a dull ache or a continuous, low-grade pain accompanied by noticeable pressure. Although such pain can occur anywhere along your spine, it tends to affect the lower back most often. It may also spread up into your mid-back, toward either side of your back, down toward your tailbone, and even into the top part of your buttocks. It’s also common for people with degenerative disc disease to experience occasional pain flare-ups characterized by sharp, stabbing, or burning pain. During such episodes, which can last anywhere from a few days to several weeks, some people even experience tingling and numbness in their legs or arms, depending on the location of the affected disc. 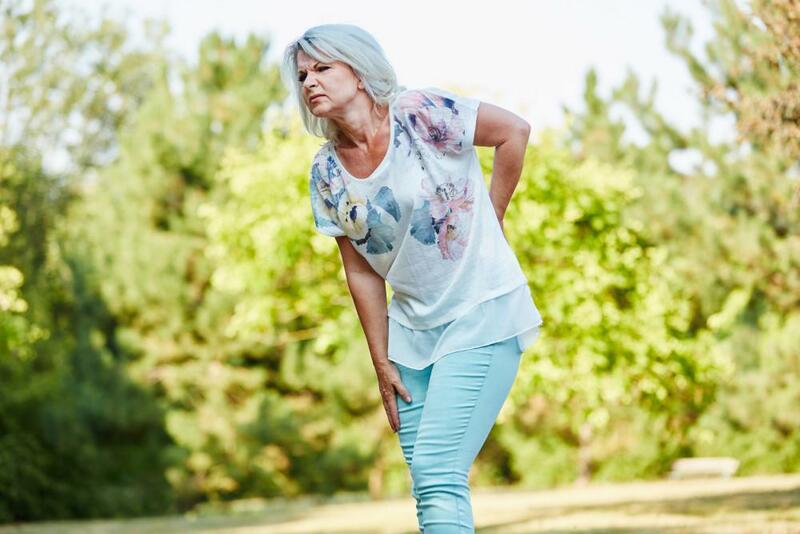 Pain flare-ups are typically the result of aggravating factors that put pressure on your discs, such as sitting or standing for too long, or bending or twisting beyond your normal range of motion. Because weak discs make your spine less stable, people with degenerative disc disease may also experience a “giving out” sensation, during which your back or neck locks up or feels as if it’s unable to provide basic support. This fundamental lack of stability can also lead to chronic — and often debilitating — muscle spasms around the affected disc. Contrary to what its name implies, degenerative disc disease isn’t actually a disease, and it isn’t always progressive: The right treatment approach can often improve the condition of your discs and help relieve symptoms. Here at Mass Ave Chiropractic, we take a natural, comprehensive treatment approach that helps advance healing by increasing blood, oxygen, and nutrient flow to your discs. Unlike other tissues in your body, spinal discs receive a limited blood supply. Without the influx of oxygen and nutrients that comes with optimal blood flow, injured discs can’t effectively repair themselves, leaving them prone to further degeneration. Using cutting-edge DRS Protocols™ that combine various individualized treatments like spinal decompression and hands-on adjustments, we can improve blood flow to damaged discs and encourage maximal absorption of the fluid, oxygen, and nutrients required to rehydrate and restore your discs. To find out how we can help you find long-lasting relief from disc-related pain, call our Indianapolis office today, or use our convenient online booking tool to schedule an appointment with Dr. Kielur any time.